All right, so there's a lot I've worked on in the last year, but I haven't updated my blog much at all. So here's a start on that. For Christmas, I was given a great stack of Flea Market Fancy fat quarters. I decided to add a few solids to them and make this Pinwheel Sampler at PS I Quilt. I have two more blocks that were finished up last weekend, but I haven't taken pictures yet. 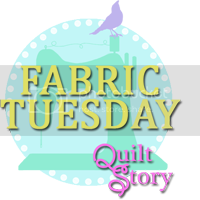 Adding fat quarters was likely a mistake, looking back. The tutorial calls for a layer cake. Doing some reasearch, I found that I would be able to get 2 10" squares from a fat quarter. 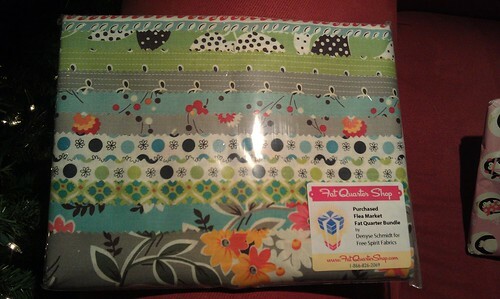 So to get enough fabric, I bought 19 fat quarters. Which is WAY too much. There are two or three fat quarters I didn't even cut into - which is fine because the blue solids work with my stack of Pure that needs a project. 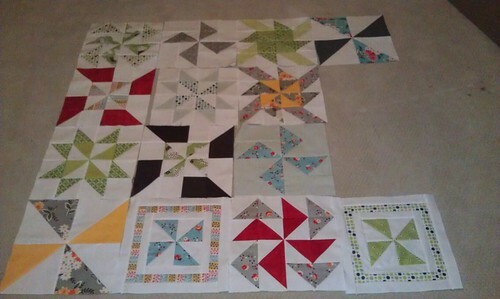 I'm considering pulling out the two big pinwheels and putting them on the back and doing another pair of blocks for the top. Which would also help me use up fabric from the fat quarters. Can't wait to see this one put together with the sashing. This is really really pretty! I love your colors! Can't wait to see this finished!